Despite what they say about California, we’ll still be using our heaters at night for a little bit longer after the end of winter. During that final stretch of using your furnace, perhaps you might notice some small issues beginning to crop up. 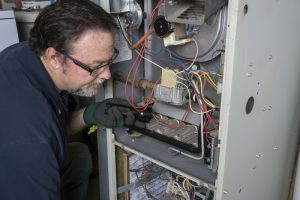 You don’t expect to use your furnace for many more weeks, so the question becomes: Should I have it fixed now by an HVAC contractor in Long Beach, CA, or should I just wait until after summer? Often, the repair issues in an HVAC system won’t actually stop it from running. Depending on the exact issue, you may still be able to heat your home. But this isn’t a good thing! Running your heater with a problem present is just going to lower your efficiency and result in a higher-than-usual heating bill. On top of lowered efficiency, you’ll also be putting your system at a higher risk of developing problems. For example, a bad noise in your furnace indicating a blower motor in need of lubrication can cause serious damage to the blower, possibly needing it replaced if not fixed. To continue with that example, consider the differences in costs between having a blower motor lubricated, versus having that entire blower motor replaced. When a problem is allowed to get worse, it naturally becomes more expensive to have it fixed. Having repairs taken care of with maintenance or prompt repairs will always save you hundreds of dollars in the long-run. Considering that you’ll need to pay for repairs either now or later, there’s really no reason to not have it done now. If anything, there’s a higher chance that you might forget to schedule that maintenance or repair service before the start of winter. In fact, you probably won’t think much of your furnace at all until a particularly chilly night, at which point you rush home to turn on the furnace just to remember that you shouldn’t be running it until you have it fixed. The idea of having furnace repair services after winter sounds pretty strange, right? Well, that’s exactly why it’s such a good idea to have it done. When everyone is doing one thing, sometimes it’s best to consider doing the opposite. In this case, waiting until after summer to have your furnace inspected is what you can expect everyone else to be doing. Depending on how busy it is that day, you might be put at the bottom of the list and won’t be able to have your furnace checked as soon as you’d like. When done just after winter, waiting won’t be an issue. Contact Greenleaf Heating & Cooling today to schedule a repair or maintenance service.